Not all Norwegian and Swedish food is the same - lefse is Norwegian and krumkage I know from more or less all Scandinavian countries, but think they are Norwegian. inever really understood what scandanavian country his family came from originally.Certainly I meant no disrespect(I get a sense I may have sounded a bit obtuse ). I have many family ethnic dishes that Ive grown up on and some I like and some I dspise. The slovak side of my family loves sour cream in everything and I am a "Use sour cream only when theres no more ketchup" kinda person. There are and have a long time been Norwegian/Swedish jokes - not always very nice. In MidWest USA one can books with these jokes. The Danes used to not like the Swedes very much. Whereas the Swedes from southern Sweden like the Danes. Swedes do not like the way the Norwegians serve their Lutefisk for Christmas and they do not like the way we do it. The Danes think it is not even eatable. People south of our borders think we a one people who understand one another language wise, think the same and are just one unit. Metal work, the wheel, farming and animal husbandry - especially the horse. These things created civilizations! The automobile . . . this removed horses from the urban and town environment, and therefore, all the manure. The flies that walked all over those horse-apples then walked on the faces of infants and small children, and were the most significant disease vector in the urban and town environments. (The wheel, in fact, helped to create this problem.) Infant and childhood mortality plummeted after the spread of automobiles and trucks in cities and towns. The introduction of tools, in our prehuman ancestors, which built upon allowed us to alter the environment, arguably to the better of the race. It's a toss up between the stick and the rock, projectiles. 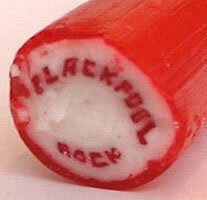 How about a stick of rock? Clearly, the nanothermite that was developed by US military labs in the 1990s, the same nanothermite that was discovered in WTC dust along with the by products of nanothermite reactions, eg. iron microspheres, which made up about 6% of WTC dust compared to the normal iron microsphere concentration in normal building dust which is less than 0.04 per cent. Nanothermite is a solely US proprietary product. No one else in the world has it, or even knows how to make it. It is, according to US military scientists, "a new generation of super explosives". Nanothermite at WTC means that there were no Arab hijackers. Nanothermite at WTC easily explains the molten/vaporized steel/iron, which the USGOCT can't explain at all. Jet fuel and office furnishings cannot generate temperatures near close enough to melt, let alone vaporize steel. In one such material (termed a thermite pyrotechnic), iron oxide gel reacts with metallic aluminum particles to release an enormous amount of heat. "These reactions typically produce temperatures in excess of 3,500 degrees Celsius," says Simpson. These new materials have structures that can be controlled on the nanometer (billionth-of-a-meter) scale. Simpson explains, "In general, the smaller the size of the materials being combined, the better the properties of energetic materials. Since these `nanostructures' are formed with particles on the nanometer scale, the performance can be improved over materials with particles the size of grains of sand or of powdered sugar. In addition, these `nanocomposite' materials can be easier and much safer to make than those made with traditional methods." The mouse trap. After it was invented, my great grandfather didn't have to keep patching bullet holes in the floor and walls all the time.